Good breath support improves your tone. You will be able to play louder, your tone will sound richer and your soft notes will project well, whilst remaining soft. Your intonation will naturally improve and you will be able to consistently play with a great tone every day. When we hear instructors tell us to support our tone, we know all the benefits, but we still do not know how to do it. Not only that, we do not even know what it is. If we do not know what it is, how can we do it? What is air support or breath support? And how does a flute player apply it to music? 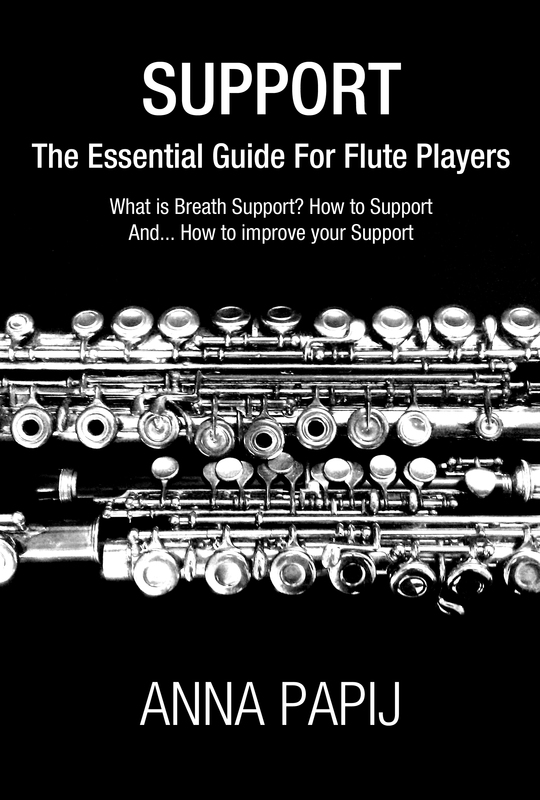 Support – The Essential Guide For Flute Players will teach you what support really is, how to do it and how to apply it to your flute playing to make you a better musician. Before taking up flute, I had already learnt piano, recorder and violin. When I was 9 years old I began flute lessons. I studied flute at university, completing my Bachelor of Music Performance in 2003 at the Victorian College of the Arts in Melbourne, Australia. I have attended many masterclasses around the world with top flute performers and have been teaching flute in my home studio since 2000. After working various jobs in the music industry, I decided to pursue a hobby in fitness, and became a qualified personal trainer in 2009. With a combination of wellness coaching techniques, my teaching background and sports coaching, I specialise in bringing out the best in people so that they can be the best they possibly can in body and in mind. I currently teach flute, saxophone and recorder, while coaching clients in fitness and specific sports training, and enjoy competing in powerlifting on a national level. This unique combination of flute player, music teacher, trainer, and athlete, means I have a very different perspective on breath support. I know exactly what it is, what it means, and how to do it. There are no mysteries – I make it simple for you! Alternatively, get the Kindle / Paperback editions from Amazon: here.